Things are moving quickly at the Civic Centre Resource Library. Here is an update on what is happening at the construction site. 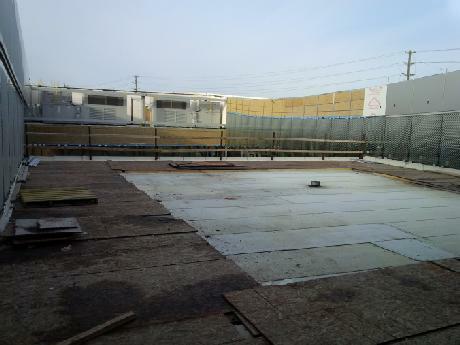 Exterior insulation installation is taking place around the north, west and south elevations. Workers continue to install paneling on the south side. 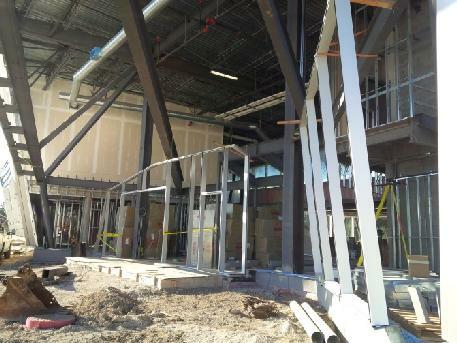 Framing work is still ongoing at the main entrance at the south side. 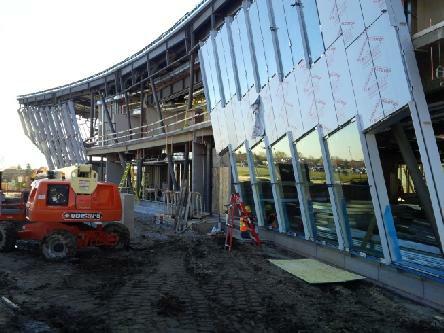 Glazing installation continues around the exterior perimeter at the east elevation. Hardscaping activities continue around the building. 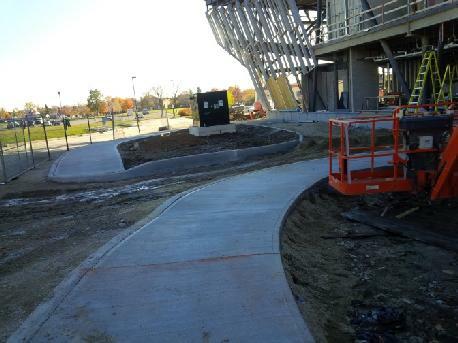 Sidewalk continues to be poured around the perimeter as well as the pads at the main entrance. 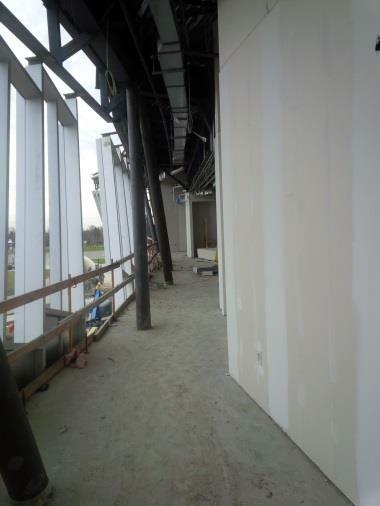 Drywall installation continues throughout the first and second floor. Concrete work is ongoing around the perimeter. Hardscaping work is progressing at the south side. Drywall work is almost complete. Lounge area and study hall space in progress. Things are moving quickly at the Civic Centre Library. Here is a quick update on what is happening as of this week. Exterior insulation installation is complete at the south side of the building. 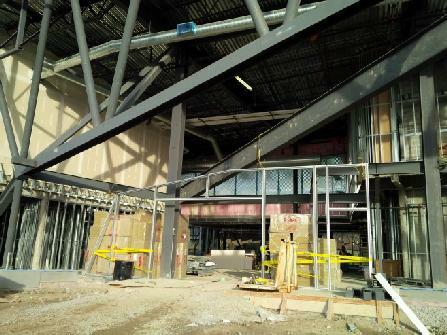 Framing and welding at the main entrance is ongoing. 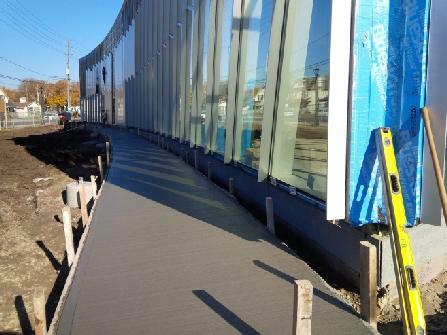 Composite panel installation is progressing at the north side and around the Reading Garden. 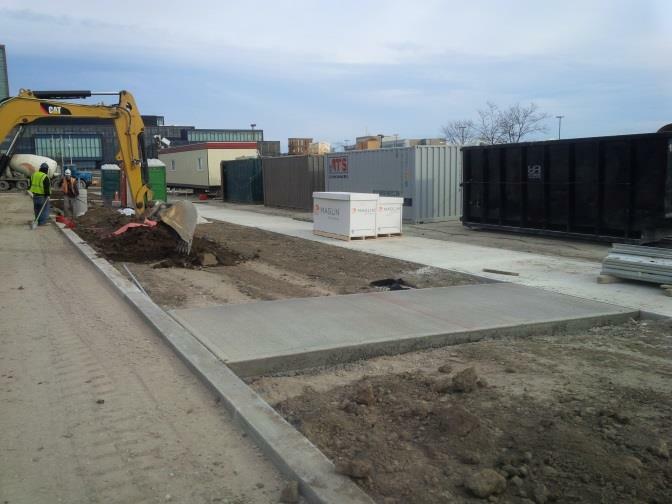 Sidewalks are 50% poured at the north side and curb work is progressing at the east and north sides. Interior steel stud work has progressed in all areas. 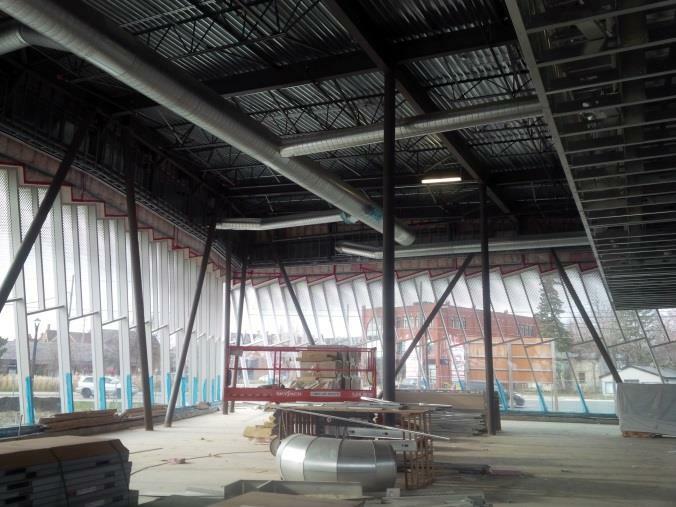 Drywall installation continues throughout the first and second floors. 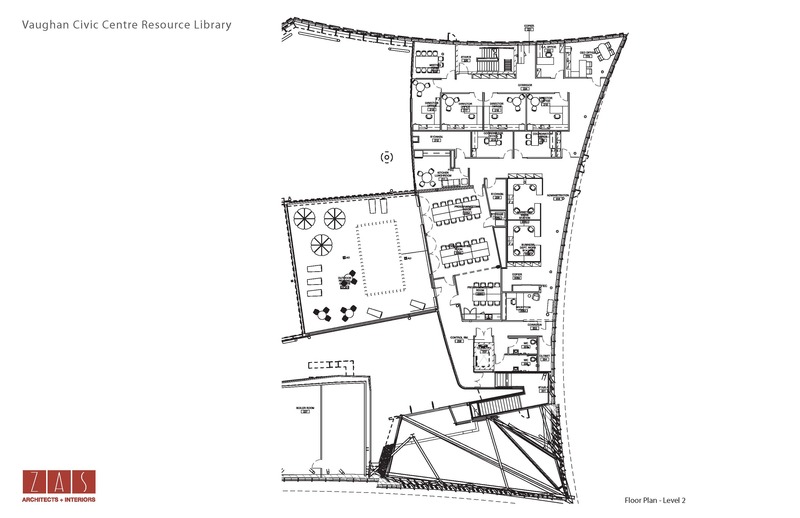 Floor Plan - 1st floor. 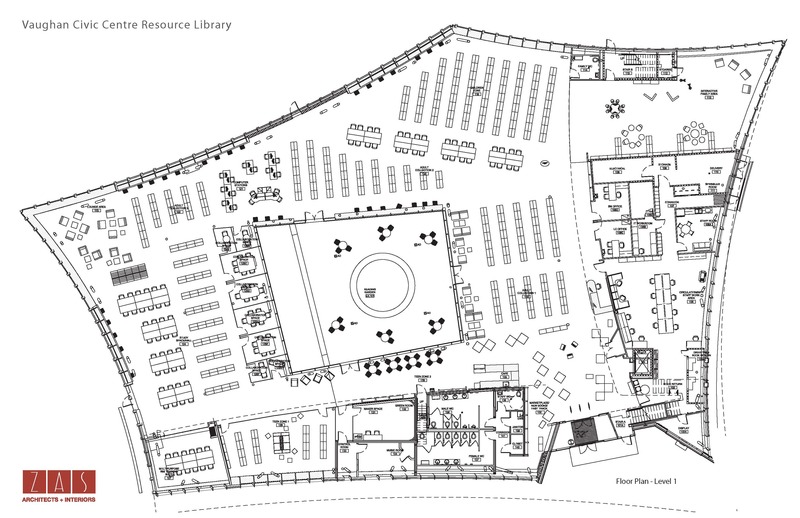 Floor Plan - 2nd floor. 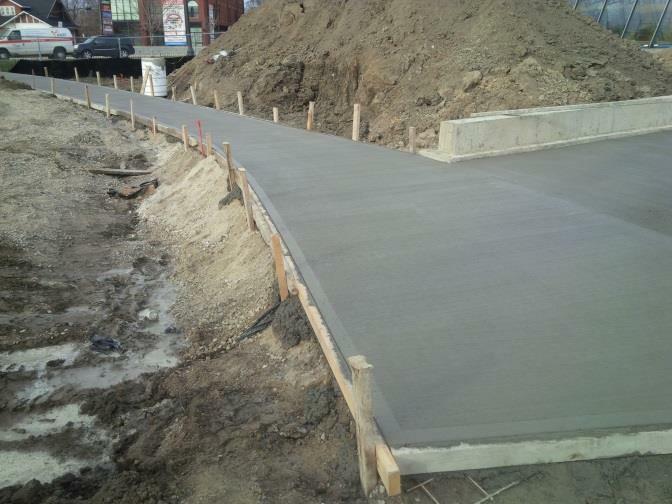 Sidewalk is 50% poured at the east elevation. Hardscape work has progressed at the east side. 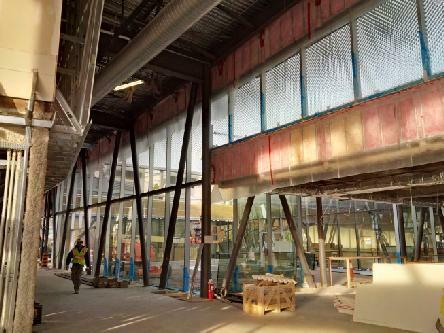 Steel welding and aluminum welding at the main entrance is ongoing. 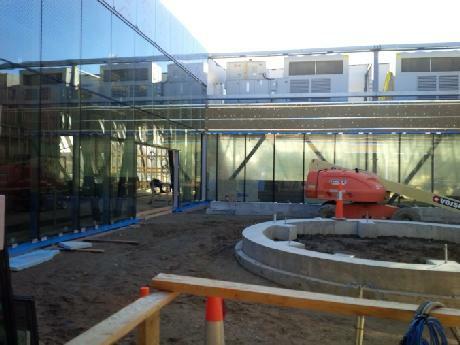 Glazing installation is complete at the Reading Garden with the exception of the exits. View of the second floor patio. Roof work is complete and finish work is to be scheduled. The Vaughan Public Library Board is pleased to announce VPL’s third resource library will be officially named the Civic Centre Resource Library. The name was selected from an extensive list of suggestions received from hundreds of Vaughan citizens, through a survey, and additional names of historical significance amassed with input from City of Vaughan Archives staff. VPL thanks everyone who provided their valuable input in naming this library. Construction of the Civic Centre Resource Library is progressing well. 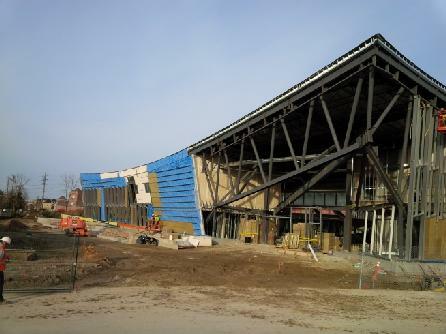 As of this week, the exterior insulation installation is ongoing at the south side of the building perimeter with roxul insulation. Glazing installation continues around the exterior perimeter. 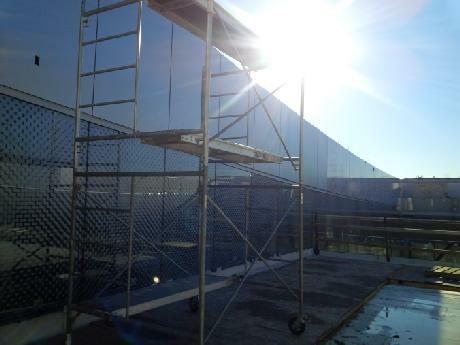 Another shipment of glazing has been received and installation along the south and east walls are to commence. Hardscaping along the south, west and north sides are ongoing. Mechanical and electrical rough-ins are complete. Connections of exhaust fans and fixture rough-ins are underway. Interior steel stud work has progressed in all areas. 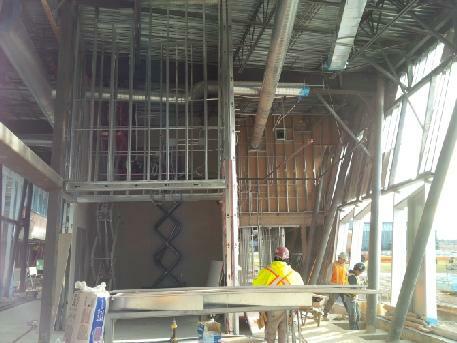 Drywall installation continues throughout the first and second floor. View of the south elevation. Framing and insulation work is ongoing at the market place. View of the main entrance at the south. Walls at the Digital Media Lab are taking form. View of the 2nd floor patio.